Chinese medicine and acupuncture has long promoted longevity and vitality by observing the “shen”, or inner reflection as seen on the face. Our outer beauty mirrors out internal health and factors such as stress, diet, lifestyle, concurrent health concerns, emotional balance, age and genetic predispositions are all considered in your treatment plan for Cosmetic Acupuncture and Renewal. Following your acupuncture treatment is the Rejuveness System which is a safe machine using gentle electromagnetic waves to stimulate collagen, promote circulation and restore healthy cell function. The Rejuveness System is the signature treatment at Integrative Skin Centre and pairing it with cosmetic acupuncture sets us apart from others who offer facial acupuncture alone. 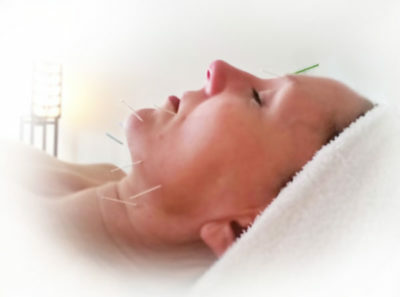 Cosmetic Facial Acupuncture addresses the physical appearance of the face and empowers the emotional well-being of the entire person.